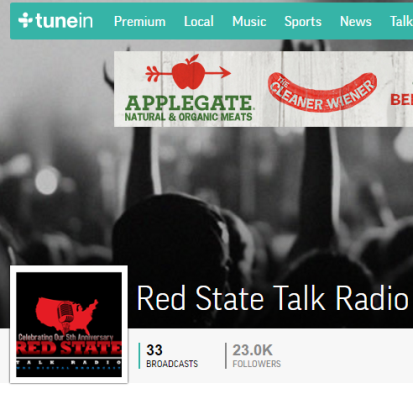 Red State Talk Radio Announcement (Philadelphia, PA), March 02, 2017 – Red State Talk Radio (RSTR), “the dominant voice in conservative politics” is pleased to announce that we have surpassed 24,000 listeners who follow us on TuneIn. In addition to over 24K TuneIn subscribers we’ve also surpassed 20,000 Roku subscribers and reach over 25,000 Smartphone App subscribers. We encourage our listeners to download all of the free apps available for your smartphone. 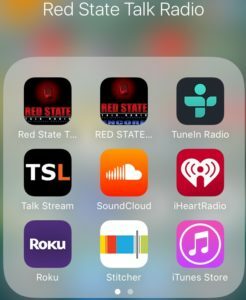 Red State Talk Radio once again would like to thank our listeners, show hosts, and writers who help drive traffic to our website making this website the #1 traffic website for any political talk radio website on the internet according to Alexa.com. Website traffic translates into listeners. RSTR has the best Alexa website traffic rating in our market! Thank you ALL for making us #1!